Porsche now offers an especially elegant, exclusive, and sophisticated version of the Cayenne: the 2018 Platinum Edition. Easily recognizable at first glance by it’s distinctive, sporty appearance, the Platinum Edition Cayenne offers premium-quality features. 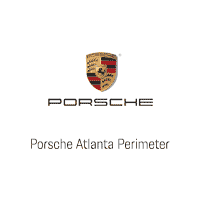 Porsche uses the Platinum Edition designation for selected model series that are offered for only a limited time. The special look starts with large 20-inch wheels in the RS Spyder design, which are housed in wider wheel arches. The exclusive interior is dominated by leather sport seats with electric eight-way adjustment and Alcantara center panels. The Porsche crest embellishes each headrest. The model’s expanded features improve comfort and safety. For example, standard equipment in the Cayenne Platinum Edition includes Bi-xenon headlights with the Porsche Dynamic Light System (PDLS), Power Steering Plus and ParkAssist in the front and back. The latter system not only uses an audible beep to indicate the distance to objects or other cars in front of and behind the vehicle; it also graphically depicts the direct surroundings on the central display. Exterior mirrors and rear-view mirror are equipped with an automatic anti-glare feature as standard, while dark-tinted privacy glass (also standard) provides additional privacy for rear passengers. A non-metallic black and white finish is standard, with Deep Black, Purpurite, Mahogany, Carrera White or Rhodium Silver metallic paint available as an option. The broadened wheel arches also come in the chosen color scheme. The exclusive appearance is rounded out by a high-gloss exterior package.